Committed to improving rural livelihood and nutrition through sustainable agricultural development, Hayleys Agriculture, the agricultural arm of leading multinational conglomerate Hayleys Plc, launched the ‘Jeevadhara’ program to provide one million Moringa (Murunga, Drumstick and Moringa Oleifera) plants to families in Jaffna and neighboring areas of the Northern Province via a network of 100,000 out-growers. Jeevadhara intends to enhance farmer incomes and livelihoods while creating a sustainable supply of pods and leaves for domestic consumption and value-added exports. 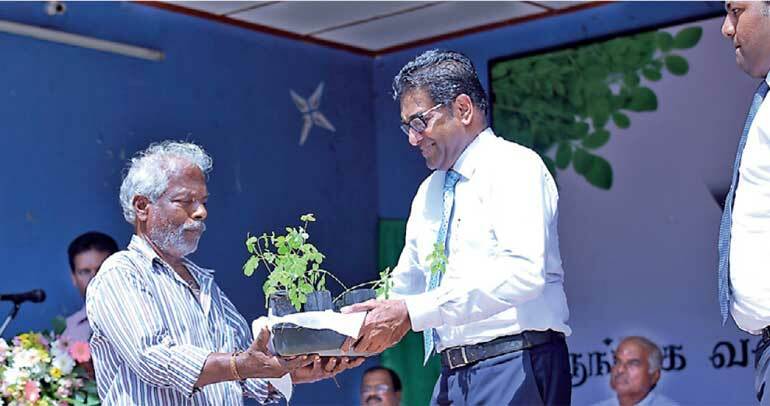 The project intends to reach 100,000 households in Jaffna, Killinochchi, Mullaitivu, Mannar and Vavuniya providing around 10 plants per household. 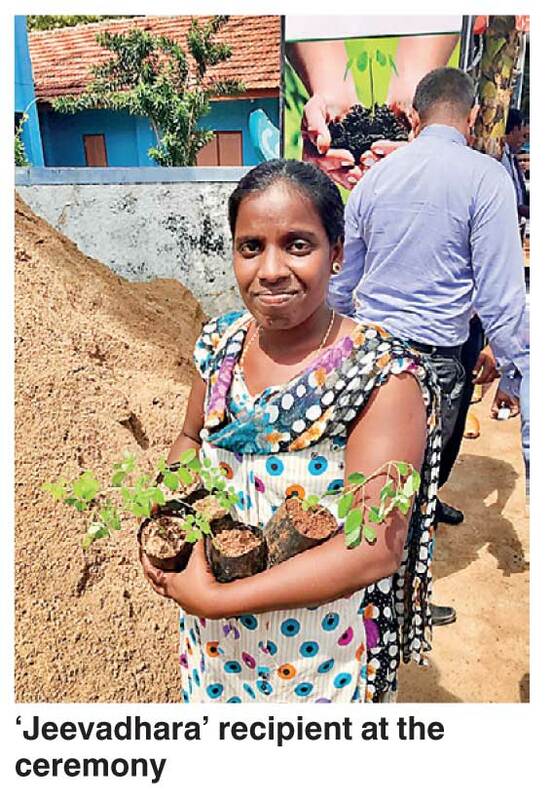 The initial batch of 1,000 farmers was given 10,000 Moringa plants at a ceremony at Navatkuli Maha Vidyalayam in Kaithady, Jaffna in the presence of several key dignitaries from the region. Considered nature’s gift to humankind due to its many nutritional properties and traditionally grown in a small scale in Northern Sri Lanka for centuries, Moringa oleifera is catching on as a miracle tree with the leaves and pods classed as ‘super-food’ globally. Gram for gram, Moringa is known to have two times the protein of plain yogurt, four times the calcium of milk, 25 times the iron of spinach, four times the vitamin A of carrots and seven times the vitamin C of oranges. Hayleys Agriculture is confident that a farmer could earn an additional income of around Rs. 50,000 per year from 10 mature trees. Moreover, every aspect of the tree from the leaves to the pods can be value added for income generation. With its myriad applications from leaf powder to pod-pressed edible oil, the plant is seeing an overdrive of popularity, with health authorities having rediscovered its massive nutrition and health benefits. Hayleys Chairman Mohan Pandithage said the ‘Jeevadhara’ program underscored the group’s philosophy of continuously engaging and supporting local communities to help improve their lives and livelihoods. “Moreover, Moringa can provide an initial harvest in six to eight months. It is fast-growing, drought tolerant and the tree remains evergreen with exceptionally nutritious leaves, pods and roots. From the root of the plant to the leaf, every part is valuable,” added Zaheed. Hayleys Agriculture will engage with government institutions, university and research agencies and community-based organisations to support the ‘Jeevadhara’ program. A national study reported that the prevalence of underweight, stunting and wasting among children aged below five years is 23.5%, 13.1% and 19.6% respectively and 18% of the sample was low birth weight babies. Research suggests that one tablespoon of the Moringa oleifera leaf powder provides 14% of the protein, 40% of the calcium, 23% of the iron and most of the vitamins, children aged 1-3 require. Six tablespoons of leaf powder is considered to provide most of a woman’s daily iron and calcium needs during pregnancy and breastfeeding. ‘Jeevadhara’ by Hayleys Agriculture will allow the out-grower farmers to capture the economic and nutritional value of this remarkable plant, making it an opportunity for livelihood enhancement.